Some homeowners don’t think much about their roofing system until a leak springs up. By then, it can often be too late to prevent excess moisture from wreaking havoc on your interior, and a complete replacement might be necessary. To avoid such instances, you need to be proactive in your roof maintenance. 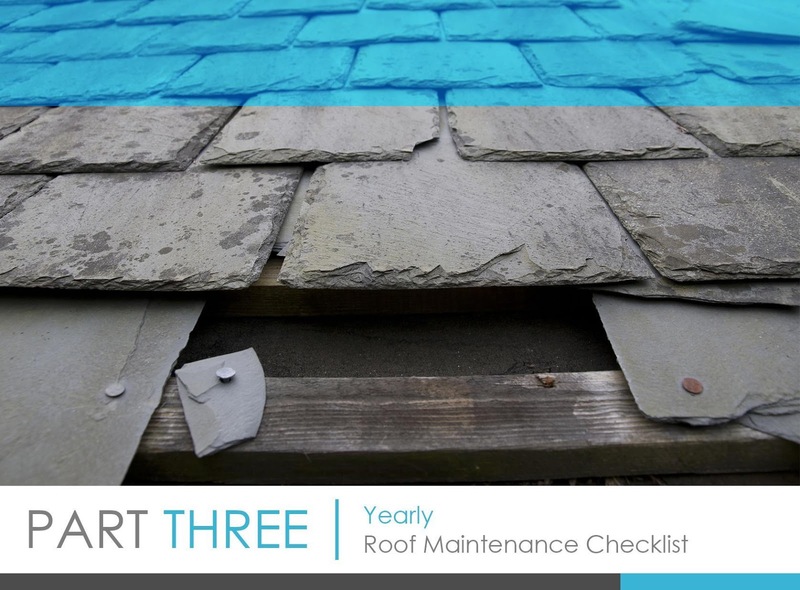 Aside from conducting monthly and seasonal inspections, a yearly roof check-up should be included in your maintenance plan to keep your roof in optimum condition for years to come. Replace any cracked or missing shingles. The shingles serve as the heart of your roofing system; without them, your roof won’t be able to protect against moisture properly. That’s why if you have cracked or missing shingles, you need to take action immediately to avoid compromising your family’s comfort. Be sure to replace them with high-quality materials to prevent premature replacement in the future. Remove moss or lichen growing on the roof. When there’s moss or lichen on your roof, it can indicate decay and moisture damage beneath the shingles. This means you need to remove it and perform a more in-depth inspection of your roof to know its actual condition. Notice if there are large amounts of shingle granules in the gutters. These granules are responsible for protecting the shingles against moisture and damage. A few granules in the gutters may not be a major cause for concern, however, large amounts of granules on an old roof might indicate the system is nearing the end of its life span. Call in a professional to do a closer inspection and to help determine the right action to take. Address the issues right away. This is probably the best way to keep your entire roofing system intact. Some people tend to neglect roof maintenance until a major problem shows up. Attending to these issues late will only cost you more on repairs and replacement as well as compromise your home’s overall comfort. Once you notice signs of damage, immediately consult an expert roofer. The quicker the problems get fixed, the less you’ll spend on repairs. There are a few different ways you can carry out roof inspection and maintenance. You can do a visual inspection from the ground with binoculars. If you suspect there may be far more extensive problems, however, it best that you schedule a roofing contractor to come out and take a look. A professional will have the required tools, skills and experience to carry out the inspection better, and can provide you with a comprehensive report on the findings. He will also be in the best position to recommend the most ideal solutions as well as perform the repairs or replacements needed to ensure your peace of mind for many years.